Edge Of The Freezer Loch a Chroisg, Achnasheen, Scotland. During an acutely bitter three days where the temperature plumetted to minus 23 degrees celcius I visited loch a Chroisg a place that nearly always traps a layer of mist that on still days hangs over the surface of the loch. It was the same on this occasion but this time the water condensed out of the air and froze everything it toched with needles of hoar frost almost two inches deep. 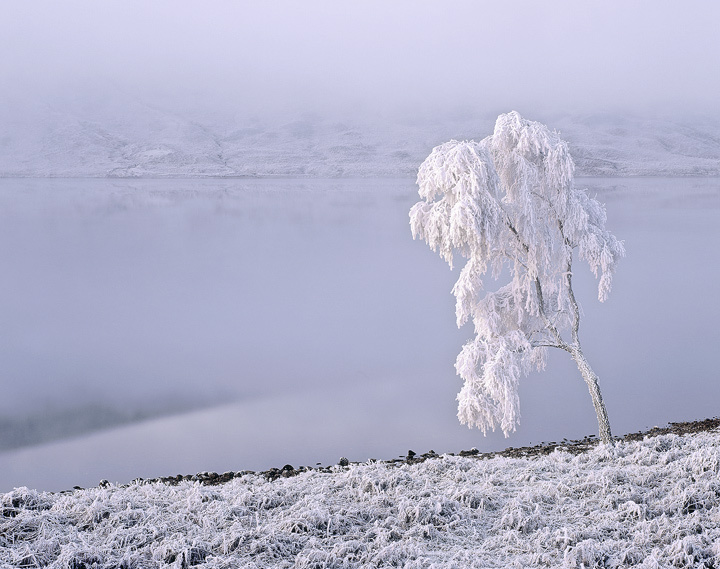 I loved the way the litle birch tree stealthily emerged from the mist and stood in a pristine winter gown.